Before coming to Valparaiso University Law School, Professor Telman taught public international law at Brown University and practiced commercial litigation in the New York office of Sidley Austin LLP, where he also administered and participated in the office’s pro bono asylum program. Prior to that, he clerked for Judge Rosemary Barkett of the U.S. Court of Appeals for the Eleventh Circuit in Miami, Florida. 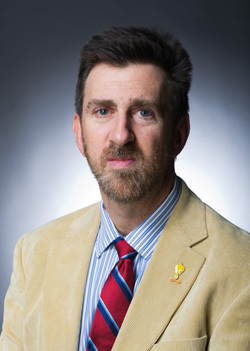 Professor Telman, whose doctorate is in modern European history, previously taught in the history department at the College of Charleston in Charleston, South Carolina. He has been a Visiting Professor at the DePaul University College of Law and at Drexel University’s Earle Mack School of Law, and he is currently a Dean’s Visiting Scholar at the Georgetown University Law Center. From 2011-2015, Professor Telman served as editor of ContractsProf Blog, the official blog of the AALS Section on Contracts. His has in the past written on contracts and commercial law, public international law and comparative jurisprudence. He is currently working on an intellectual history of originalism in constitutional interpretation, which he hopes to complete by 2020. His scholarship has appeared in Austrian, English, French, German, Indian, Israeli, Serbian, South African, Swiss, and U.S. publications.